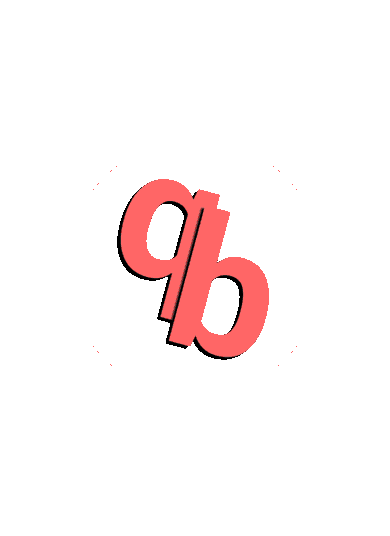 The result analysis is a collection of features offered by Questionbang apps and mock-set-plus, to assess and monitor learning. This is called weekly result analysis in apps (NEET Weekly, JEE 360, CET Social & Bank Preparatory), overall result analysis in mock-set-plus. Note that an overall result analysis (in mock-set-plus) is not real time, it is an hourly update. 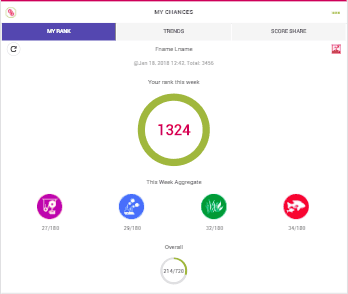 However, a weekly result analysis (in apps) is instant, and is done every time a user completes a quiz session. Note: CET Social does not offer trends & score share reports. 1. Complete stats about progress - historical data summarizing your efforts (My Results). You can find stats tab in My Results screen. The current week stats and cumulative stats from previous sessions are reported here. The overall data is a sum of data from all previous sessions. For example, if you attempt NEET Weekly for ten weeks, the maximum marks become 7,200. You can get to this screen from My chances button or Options menu. The rank will depend on your score & the score of other users, even those who attempted quizzes after you. So it can change regularly as week progresses. It is a comparison of average score of all participants against your score. 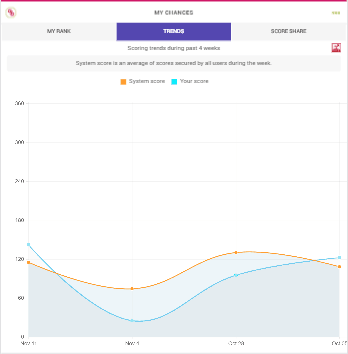 Only four weeks of data are shown, and can give an indication of your progress or no-progress. The score share is an extension of stats screen. 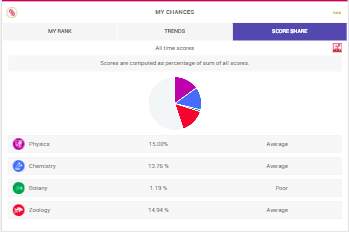 Scores are computed as a percentage of total scores to depict the share of each topics. 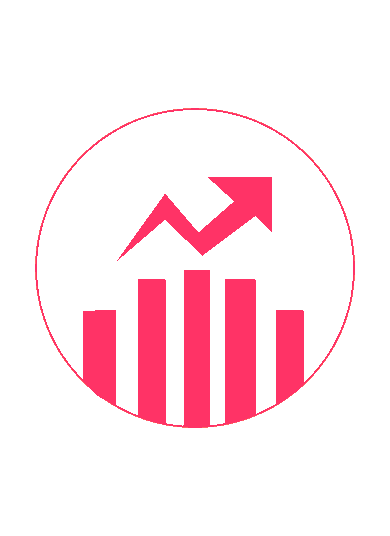 In this way users can assess the relative strength or weakness of constituent topics. 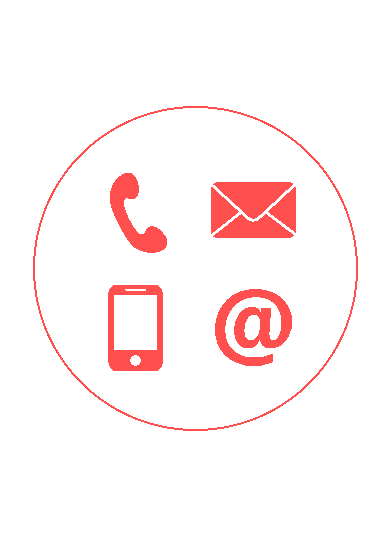 The overall result analysis combines data from weekly apps and mock-set-plus. This feature is available only through mock-set-plus. Your best weekly score (through app) & highest mock exam score (mock-set-plus) are shown here. Rank forecasts are not done yet; this feature is under development. The performance assessment - poor/average/good are based on your best score, either through app or mock-set-plus. The mock-set-plus can have full length papers with different maximum marks, whilst maximum marks of an app are the same for every week. Best score is the system wide maximum score (ever) achieved by any user. Recommendation is an upcoming feature. 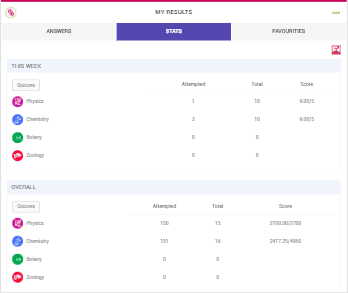 System overview gives latest stats about Questionbang topics - total number of users, total number quizzes and mock exams, and question bank size.